The two most popular sizes are 1.2m (4′ ) wide x 1.2m (4′) long and 1.8m (6′) wide x 1.2m (4′) long. Larger widths or lengths are available by joining the 4 & 6′ sections. 1) Tines facing upwards for the gentle levelling of seedbeds and equestrian exercise areas and gravel driveways. 2) Tines facing down and to the rear for light harrowing of new growth and de-thatching lawn type grass. 3) Tines facing down and forward for a more aggressive levelling effect, the improvement of meadows, the removal of dead grass and weeds and to encourage new growth through tillering. The performance of the trailed harrow is greatly improved by towing small trailed weights behind the harrows. 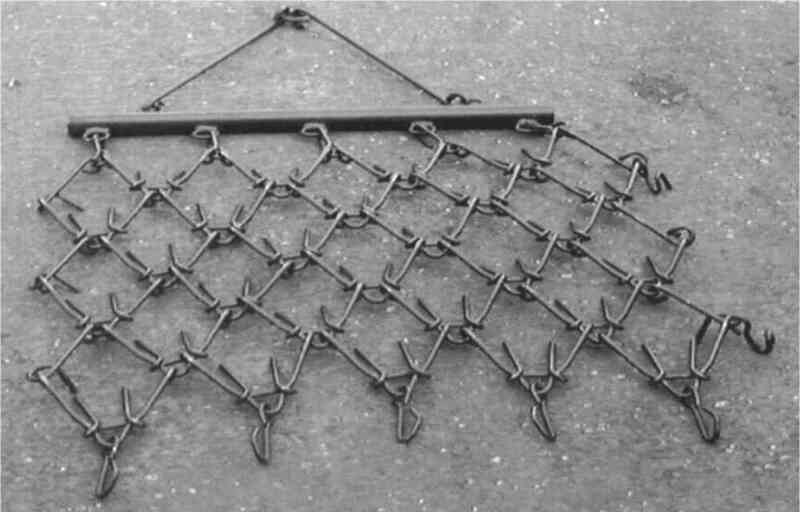 This prevents the harrow from bouncing in the air and adds tension and weight to the bed, which will improve the penetration, you can use one on each section or just one on each rear corner. 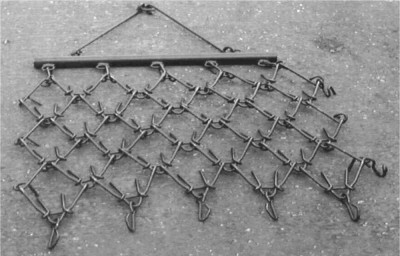 This is achieved by using the optional trailed weights, which are made from the same type of heat treated steel as the harrows, even using a home made weight will help.